Weirdly no prices in White Dwarf...even foe the new releases!! Eurgggh, more price rises? Good job there are so many alternate manufacturers out there now. 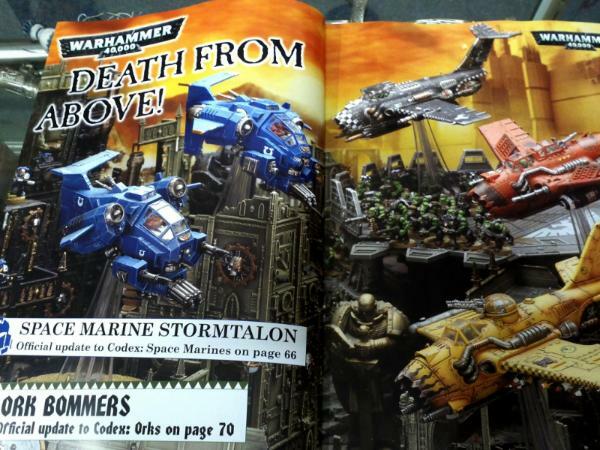 Necron and Ork ones look alright, the Space Marine one looks ridiculous. So stubby. Not enticing me back to "pew pew" 40,000 any time soon by the looks of it. 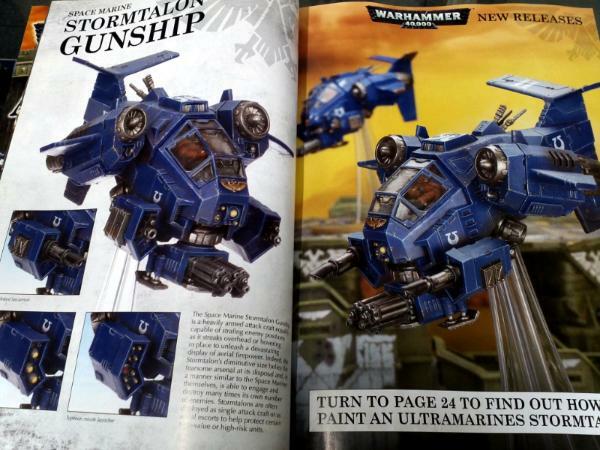 Is it just me, or is that Space Marine Stormtalon a flying brick? Seriously, the drop pods look more aerodynamic, and they're meant to just fall straight out of the sky. As for the price rises, the only good thing about them is it gives alternative manufacturers a bit more room to become viable. For instance, those Raging Heroes Blood Vestals are now not only better than GW's Finecast Witch Elves, they're cheaper in metal. And when I do a Warriors of Chaos army, it'll be with the Avatars of War Warriors and the Gamezone Knights. Good stuff GW, its very sporting of you to give the opposition a chance. The Marquis of Queensbury would be proud. I'm still amazed that the pictures I took where the first... Uninspiring launch? 1000 internets for me. Theres two hidden gems in this months releases that you will love Hamish. Plastic Savage Orc Big Boss and plastic Goblin Shaman! I for one actually quite like the SM flying brick. I don't think the Marines want something huge and easy to shoot. Something quick and elegant, with lots of pew pew of course. The Necron one just looks like a big C with two I's stick outs of its center. 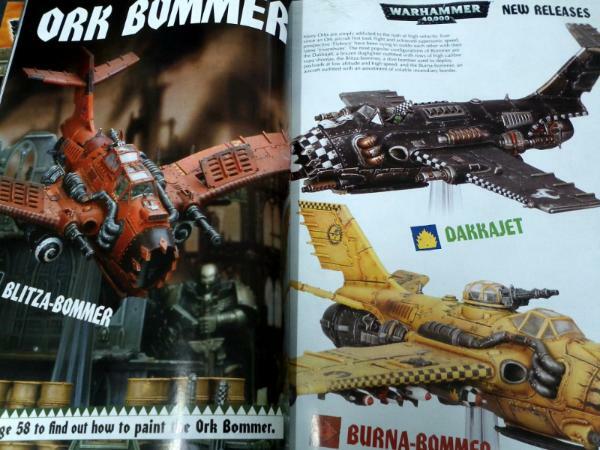 The Ork ones look unsurprising. As for the price hike... its not like a bought anything from GW in ten years.